This next wedding features the sweetest bride and groom - Bert and Christy. 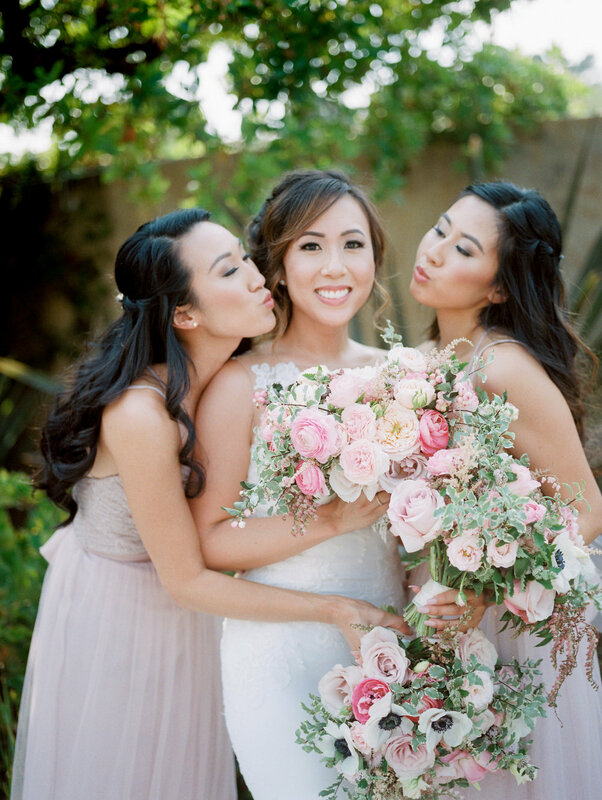 And with these gorgeous photos from Jeremy Chou, this is one wedding you don't want to miss. Scroll down for more. 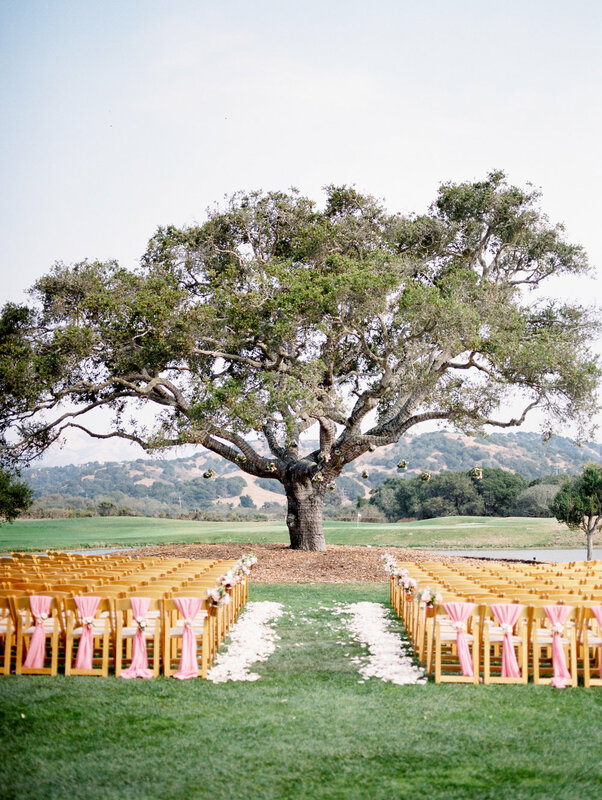 This stunning wedding took place at the Nicklaus Club in Monterey, CA. It was our first time at the venue, but the Spanish style club house and the sprawling green made for a gorgeous backdrop. Christy and Bert chose to exchange vows under a magnificent oak tree that we decorated with hanging geometric vases filled with florals and greenery. The aisle was lined with petals and the chairs were tied in pretty pink sashes. What a perfect place to say "I do". 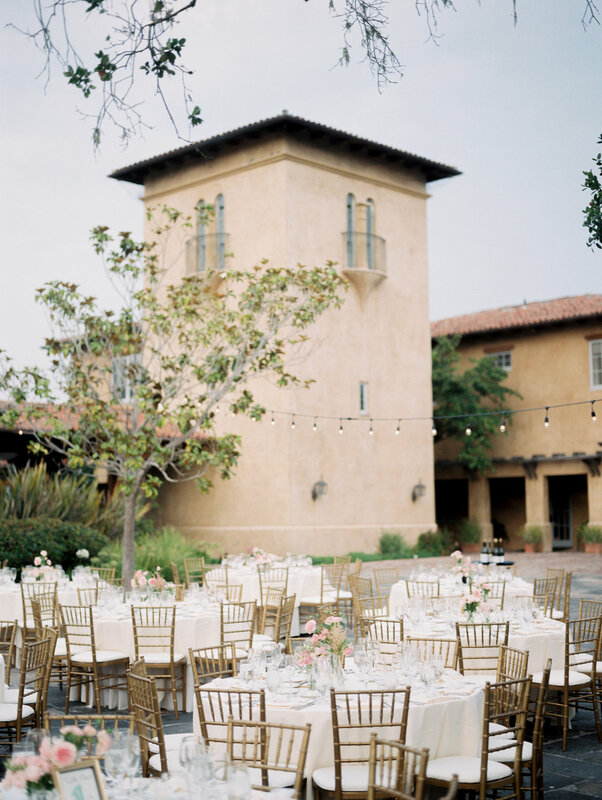 After the ceremony the intimate reception took place right in the Nicklaus courtyard. The pretty cobblestone, Spanish fountain, fairy lighting - all made for a lovely evening. 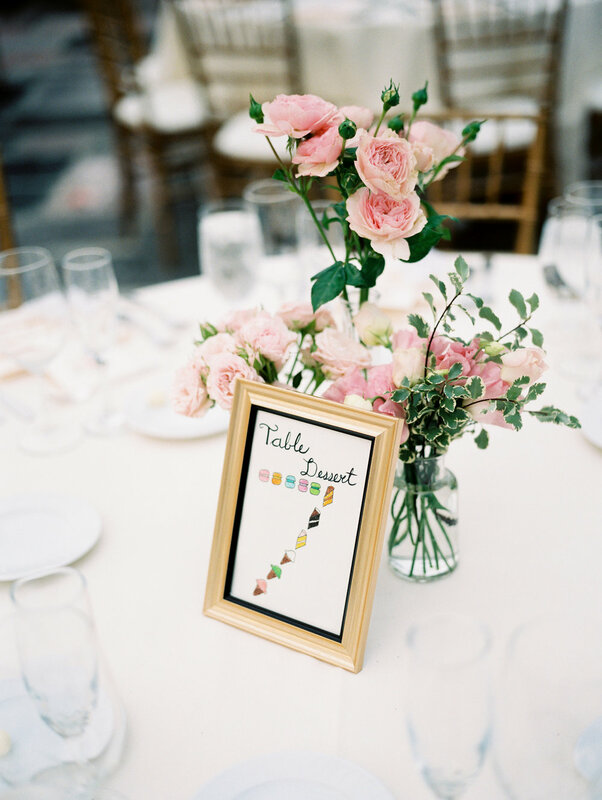 The reception tables were decorated with little bud vases of flowers, and we continued the pink florals throughout the setting. Many thanks to an awesome vendor team for pulling this event together. Bert & Christy live in New York City, so planning this from across the country could not have been easy. So a huge shoutout to all the vendors for making this dream wedding come to life.